This comprehensive book teaches you how to build data-rich business applications with Silverlight 2 that draw on multiple sources of data. 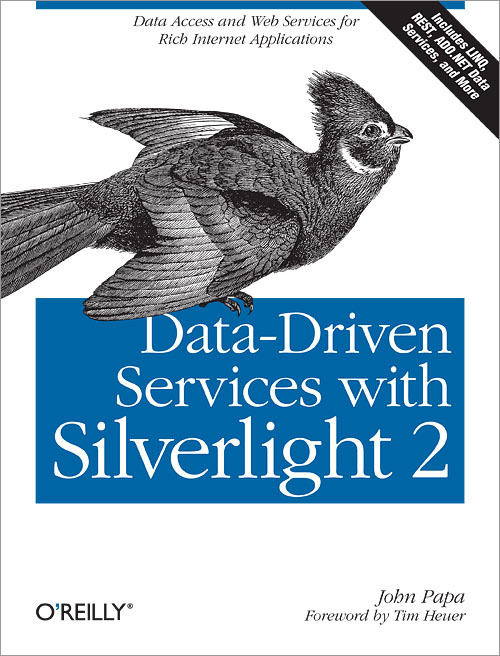 Packed with reusable examples, Data-Driven Services with Silverlight 2 covers all of the data access and web service tools you need, including data binding, the LINQ data querying component, RESTful and SOAP web service support, cross-domain web service calls, and Microsoft's new ADO.NET Data Services and the ADO.NET Entity Framework. Data-Driven Services with Silverlight 2 offers many tips and tricks for building data-rich business applications, and covers the scenarios you're most likely to encounter. Complete examples in C# and VB can be downloaded from the book's companion website. John Papa is a Microsoft C# MVP, MCSD.NET, and INETA Speaker who has been working with Microsoft distributed architectures for over 10 years. He has enterprise experience architecting and developing with .NET technologies focusing on architecture, patterns and practices, data access and mobile development. John has authored or co-authored several books on data access technologies, is the author of the "Data Points" column in MSDN Magazine, has presented MSDN WebCasts and can often be found speaking at industry conferences such as DevConnections and VSLive. You can contact John at www.johnpapa.net. View John Papa's full profile page.